New bullet journaling series on Rhodia Drive! Welcome to the new bullet journaling series here on Rhodia Drive! In this series we will show you how to get started with bullet journaling, and examples of how to use your bullet journal at work and in your personal life. The Bullet Journal system was created by Ryder Carroll and has taken off as a method for productivity, task management, list keeping, and organizing your life. In Part 1 I gave you the basics of bullet journaling: how to organize your notes as tasks as you write them. In Part 2 I showed you how to keep track of and migrate uncompleted tasks, how to organize your collections, and how to use “threading” to continue notes in a different place in your notebook. In Part 3 I discussed planning in your Bullet Journal, some difficulties people face with it, and some solutions. And in Part 4 I discussed advanced techniques like tracking, and how to adapt your bullet journal to fit your needs. 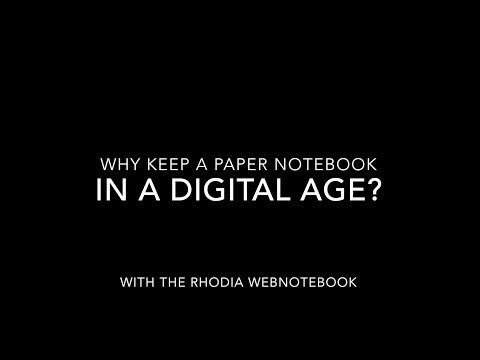 In this series on Rhodia Drive, I will show you specific examples of how to use your Rhodia notebooks for bullet journaling. And here comes an exciting announcement! Rhodiarama softcover notebooks with dot grid pages are coming soon to the USA! These gorgeous notebooks have dotted 90 gsm fountain pen friendly paper and soft covers in a variety of colors. Their portable size and flexible covers make them easy to carry with you everywhere (which is important for a bullet journal). I’ll include these new notebooks in this series and show you different ways to use them. Look for our first post in the Rhodia Bullet Journaling series Friday January 6th here on Rhodia Drive! When will they show up in USA? This is terrific! I started using a Bullet Journal in September to see if it works for me and have decided to continue into the new year. Because I have many standing meetings in my professional life and need to be sure they’re on my calendar weeks and months in advance, I’ve already adapted the system to meet my needs by .combining a weekly calendar — that I spec-ed out myself in a blank notebook — with a daily task list that seems to work for me. I’m looking forward to learning lots from this new series. Thank you! Excellent! It’s really simple and has gotten so complex over the years.